The write-up on the reverse of this card will be 'Even though it was a 3.50 am start it was great to be able to capture this sunrise over Haystacks, Buttermere. I love the famous little white cottage with the red door so it was a complete bonus to capture the reflection as well. 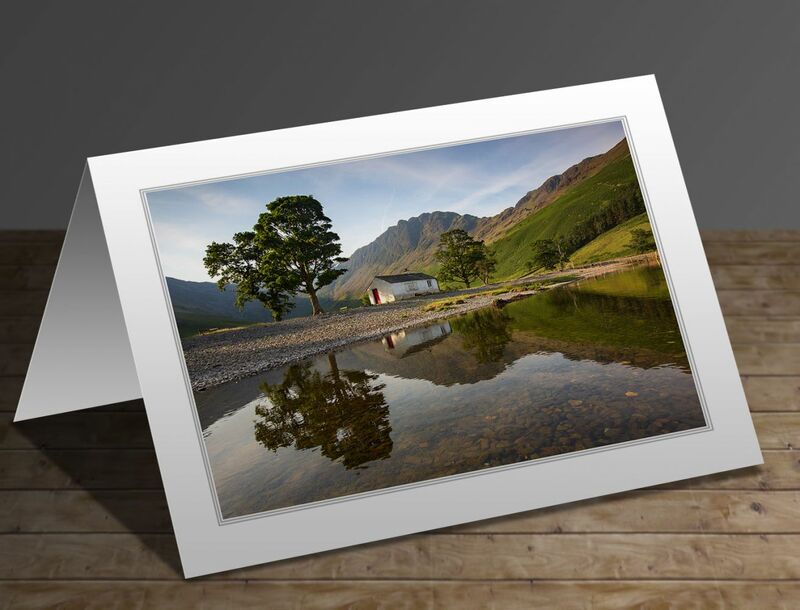 A great location especially with Haystacks as the perfect backdrop'.